At this moment I inform the people of Ecuador about the main national and provincial candidates of the Adelante Ecuatoriano Adelante party. The first National Assemblyman, Dr. Sylka Sánchez. For El Oro: Antonio Noboa and Karen Ramírez. In District 2: Sofia Caiche. In District 3: Isis Zurita. In District 4: Jorge Armando Heredia. Manabi: Northern District: Javier Carranza. “China Muñoz” will also represent the Guayas province. She will run for the District 1, along with The Rock. Los Ríos: Jenny Lara Pozo. Santa Elena: Marcos Lainez Vera. Galápagos: Carlos Hugo Desiderio Correa. Santo Domingo: Vicente Álvarez Cruz. 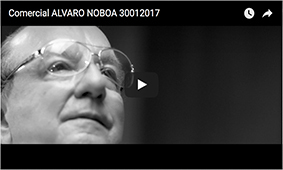 Chimborazo: Fernando Xavier Zumba Novay. Tungurahua: Ladislao Vicente Cuesta Cortez. Bolivar: Viviana Graciela Pepe Guilcapi. Azuay: Juan Alfonso Crespo Rosales. Cañar: Jaime Efraín Pérez León. Store: Jonathan Andrés Quezada Salazar. Pastaza: Alejandro Erok Marchan Cruz. We are all over the Amazon. Napo: Edmundo Jackson Mejía Vargas. Morona Santiago: Luis Macías Unupi Yamainchi. Zamora Chinchipe: José Antonio, Gómez Reyes. Representing immigrants in the United States: Nelly Cobos. In Latin America: Joffre Pinzon. Pichincha: Veronica Soriano, Ricardo Delgado, Mario Fonseca and others. 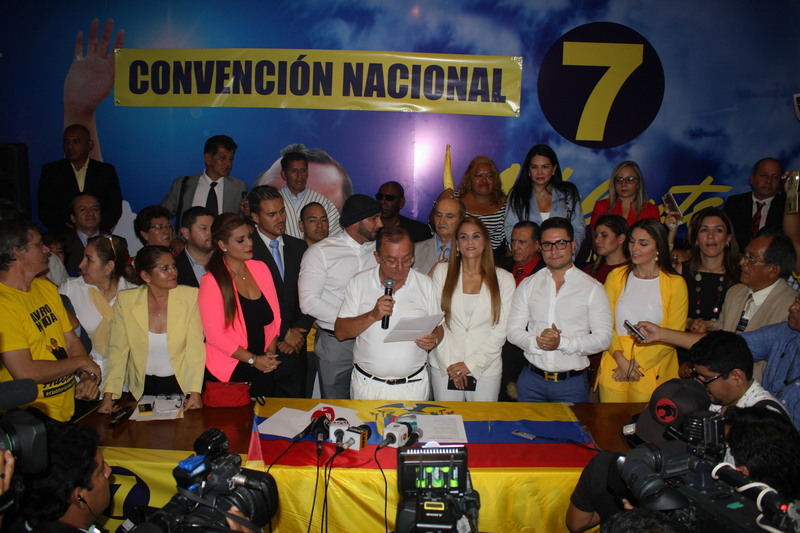 I want to congratulate Sylka Sanchez and the whole team that has worked for more than three months, because this seems a miracle, since three months ago we had no party, now we have a party with more than two million members. And we have candidates in all the provinces of Ecuador and abroad in the three zones: USA, Europe and Latin America, representing the immigrants, this is truly a titanic work that has been done by Sylka Sanchez, that’s why she deserves the position of first national candidate, and she will have all my support and that of my family and the support of the two million Ecuadorians who have joined our party Adelante Ecuatoriano Adelante. As you can see, most of the candidates are not professional politicians, but citizens like you and me who want a change in Ecuador and a new country. Of the Ecuadorian parties and the provincial movements, I believe that there are a maximum of two or three that have the size of ours and that have been able to draw lists for candidates in Ecuador and abroad. I say, the most miraculous of all, is that three months ago there was not even a party, so I am honored to lead this party and serve the party, and through it all the Ecuadorians as the disinterested patriot and the man of God I am.